Even though the BMW M2 was just launched last month, the competition was already waiting for it. The new M car was, welcomed to the track by cars that wouldn’t normally be considered its direct rivals, like for example the Mercedes-Benz A45 AMG, the Audi RS3 and the Honda Civic Type R. The guys from Cars South Africa decided to throw these four super sporty cars in the pit to see which one takes the win. On the power front, the Honda is the lowest rated vehicle here. With 310 HP and 2-liter four-cylinder turbocharged mill under the hood, the Type-R is also the only front-wheel drive, manual car on the track. Even so, it comes with a respectable claim of reaching 100 km/h (62 mph) in 5.7 seconds. All things considered, even though it came in last in this comparison, it fared a lot better than many expected. 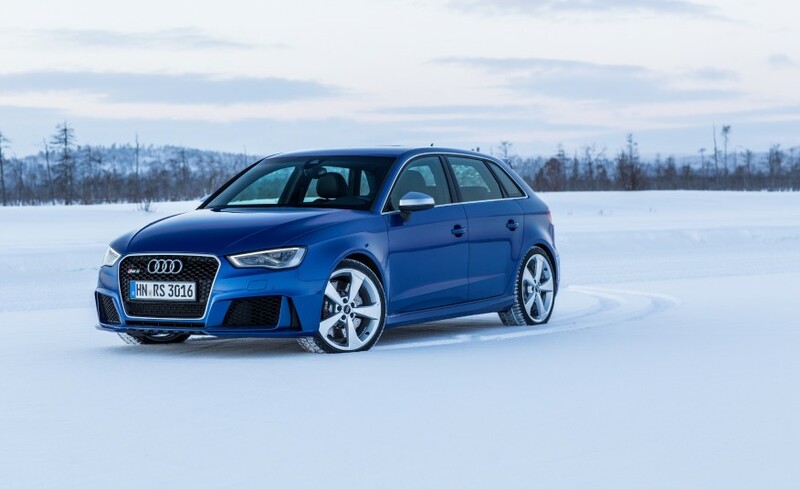 The Audi RS3 has a slightly bigger engine and benefits from all-wheel drive. Its 2.5-liter turbocharged engine makes 367 HP and 465 Nm (343 lb-ft) of torque, a figure that allows it to reach 100 km/h (62 mph) from standstill in just 4.3 seconds. That’s just 0.1 seconds slower than what the A45 AMG claims with its 381 HP 2-liter 4-cylinder turbocharged mill. The Merc too is all-wheel drive and has a slight advantage on the torque front with 475 Nm (350 lb-ft). Last, but not least, the M2 comes prepared with a 3-liter straight six turbo mill that makes 370 HP and 465 Nm (343 lb-ft) of torque hooked up to a traditional rear-wheel drive setup via a 7-speed DCT gearbox. Thanks to overboost, the M car can rely on 500 Nm (369 lb-ft) of torque for short periods of time, a trick that may prove to be the ace in the sleeve in such track-held events. With a claimed 0-62 mph (100 km/h) sprint time of 4.3 seconds, it’s not the fastest car off the line here due to its RWD setup but then again, winning such a competition doesn’t always rest on acceleration figures. Let’s see what happened.